Plain good journalism does not need any more labels. Having been associated with the world of public interest journalism for over two decades in one form or another, I can well appreciate this. The Mumbai-based independent journalist, columnist and media consultant has been saying this for a long while. And in over four decades of full time journalism, she has also ‘walked her talk’ — setting a shining example for journalists everywhere. In her writing, TV appearances and public speaking, Kalpana stays well within the boundaries of good, old-fashioned journalism based on its A, B and C: accuracy, balance and credibility. In my view, she enriches the mix by also adding a ‘D’ and ‘E’: depth and empathy. Without these latter qualities, mere reporting would be sterile and dispassionate. Kalpana has been both a path-finder and trail-blazer in journalism that cares. In my view, she set the gold standard in investigating and critiquing development in the Indian context. Earlier in her career, Kalpana worked with the Times of India, Indian Express and the feisty news weekly Himmat (1964-81) which was edited by Rajmohan Gandhi and R M Lala. There she was a colleague of Vijitha Yapa, who later became founder editor of three national newspapers in Sri Lanka. Her stock in trade has always been a mix of curiosity, sense of social justice, wanderlust and a deep passion for people. She is living proof that quality journalism can be pursued even in these turbulent and uncertain times for mainstream, corporatised media. From female infanticide and farmer suicides to religious fundamentalism and patriarchy, Kalpana has been covering under-reported or misunderstood stories on a sustained basis. To do so, she frequently goes to the field, networks with researchers and activists, and keeps her eyes, ears and mind wide open. Kalpana’s reporting from the ‘Ground Zero’ of many disasters and conflict zones has highlighted the multiple struggles of people living on the margins of survival. For many such communities, a headline-creating event is just the latest episode in their prolonged and silent suffering. The media pack that descends on them after a sudden development can’t seem very different from the assorted politicians who turn up unfailingly during election campaigns. Once in the field, she sees connections often missed by other journalists looking for a quick sound byte or dramatic image. Unlike some news hounds, she doesn’t exploit the misery of affected people. And she returns to the same locations months or years later to follow up. 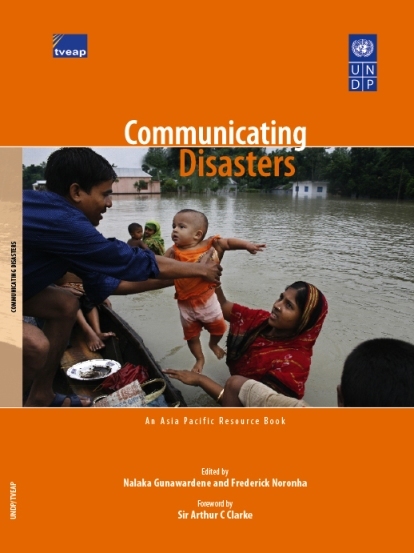 So Kalpana was our natural choice to write the last chapter in Communicating Disasters: An Asia Pacific Resource Book, that I co-edited with Indian journalist Frederick Noronha in 2007. Her 2,000-word essay is recommended for any journalist covering disasters and social disparity in South Asia. Kalpana takes a particular interest in the plight of poor women. She often writes about women who struggle on the margins of the margin. A recurrent theme is how invisible ‘superwomen’ hold India’s social fabric together. Many communities and production systems – from domestic work and child care to waste disposal and farming – would grind to a halt if these unseen and unsung women took even a day off. In reality, they just can’t afford such luxuries. In her column titled The Other Half, Kalpana takes a current topic – from politics, culture, sport or environment — and explores its gender dimensions. She does so by carefully blending facts, personal insights and opinion that makes her writing very different to the activist shrill. Oh, Kalpana is an activist in her own right. Yet her approach is more subtle, rational and measured – and in the long run, wholly more effective. And it’s not just in the rural hinterland of India that Kalpana has travelled listening and talking to people. Living in the megacity of Mumbai, she has been equally concerned with its issues of poverty, gender disparity, environmental mismanagement and governance. 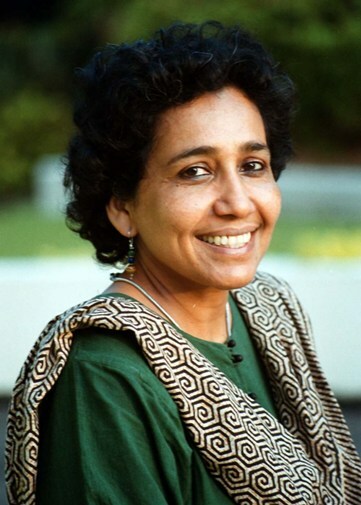 In 2000, she wrote an insightful book about the Dharavi slum in Mumbai, said to be Asia’s largest, looking at both its social inequalities and the people’s admirable resilience. 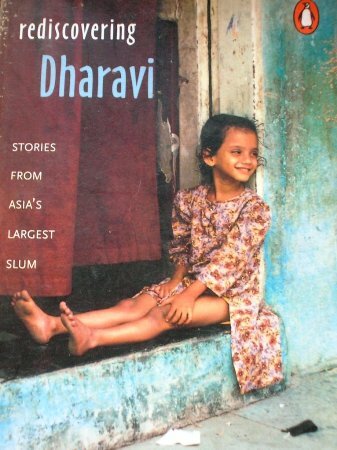 Titled Rediscovering Dharavi: Stories from Asia’s largest slum (Penguin), it was called ‘a model of sane, human, down-to-earth writing’. This was years before the movie Slumdog Millionaire (2008) showcased the location to a global audience. I knew of Kalpana Sharma from her by-line long before I actually met her in person about 15 years ago. Now, more than a dozen years after we became friends, she remains an inspiration and a role model. For much of that time, she and I served together on the Board of Panos South Asia, a non-profit entity owned and managed by South Asians keen to promote wider public debate on development issues using media and civil society platforms. We keep meeting each other at South Asian gatherings on topics of mutual interest including disasters, sanitation, urban renewal and media development. A highlight of my documentary making was when we interviewed her for Deep Divide (30 mins, 2005), which probed the reality of environmental justice in South Asia using case studies from India, Nepal and Sri Lanka. Kalpana remains a guiding star – a bundle of energy that shines light into the Darkness, and helps make sense of the tumult and frenzy that surrounds us. This entry was posted in Communicating Development, Disaster, Gender based violence, Journalism, Media, Public health, South Asia, Sustainable Development, Urban issues, Women's Rights and tagged ‘other India’, Communicating Disasters: An Asia Pacific Resource Book, conflict zones, corporatised media, Deep Divide film, Dharavi slum, disasters, farmer suicides, female infanticide, Frederick Noronha, global poverty line, good journalism, Himmat magazine, India, Indian Express, InfochangeIndia.org, journalist Kalpana Sharma, Mumbai, Nepal, Panos South Asia, patriarchy, public interest journalism, R M Lala, Rajmohan Gandhi, Rediscovering Dharavi, religious fundamentalism, Slumdog Millionaire, Sri Lanka, The Hindu newspaper, The Hoot, The Other Half column, Times of India, under-reported stories, Vijitha Yapa. Bookmark the permalink.